BROOKLYN — Mayor de Blasio wants all New Yorkers to have a better quality of life, and Hizzoner is making sure that happens one law at a time. 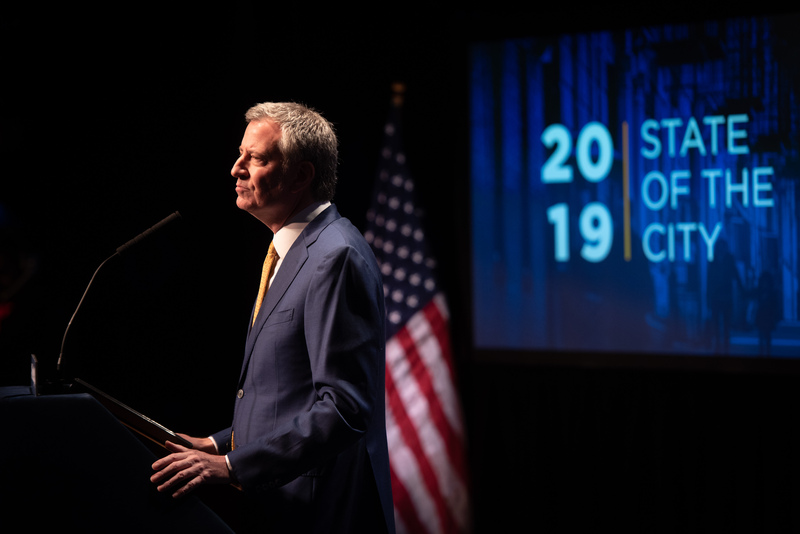 De Blasio’s State of the City which was held at Symphony Space on the Upper West Side of Manhattan roared with cheer as the mayor announced one progressive measure after another to a packed auditorium. Weeks after the city placed NYCHA at the top of its 100 Worst Landlord’s List, the mayor vowed to protect New Yorkers from bad landlords. He signed an executive order to establish a new arm of the city — the Mayor’s Office to Protect Tenants, a measure he actually signed on stage during his address. He promised stricter penalties on realtors who take advantage of tenants. “When the city’s worst landlords cheat their tenants, we will take their buildings away from them,” he said with no word of whether NYCHA’s landlords will also be held accountable. New Yorkers will now be able to participate in a city-sponsored retirement plan. According to the mayor, you’ll be able to set aside a portion of your paycheck which is job transferable. More job protections services come with the renaming of the Department of Comsumer Affairs. The mayor announced handing the city’s arm some additional responsibilities. Nannies, home health aide workers, freelancers and drivers will now have access to additional protections under the agency. “When a home healthcare aide, when their pay is withheld or any worker is mistreated, the Department of Consumer and Worker Protection will intervene,” the mayor said. The mayor announced the expansion of 3K For All which includes a Bushwick and East New York rollout along with other neighborhoods throughout the city. 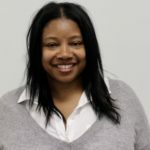 The city introduced a pilot program in 2017 in Brownsville where Public Advocate candidate Latrice Walker sits as assemblywoman of the area. 1700 students were enrolled at the time and the city expects to serve 20,000 3-year-olds by 2020. “3-K for all has transformed early learning in our city,” said Walker. “When the program initially launched in 2017 we have seen a multitude of parents inquiring about enrollment for their little ones. The extra year of instruction provided our children with a level of academic and social development that they cannot get later on. 3-K for All assisted families who were searching for adequate childcare that would provide them with an unparalleled learning experience. Chalkbeat broke the mayor would ensure all grade schoolers now have free access to eyewear. The measure already exists for some schools throughout the city but the expansion looks to increase the number of participants from 26,000 to 140,000. Coney Island finally received long-awaited ferry service. Service will shoot to Wall St. with a stop at the 69th St. pier in Bay Ridge. Their neighbors across the New York Harbor, Staten Island also get a ferry. De Blasio buffered the announcement of a new NYPD tow truck unit when he led with an expansion of the Select Bus Service. The city adjusts traffic signals along bus routes so that they travel faster. The city will increase all-door service and off-board fare collection. Brooklyn ‘s three of the 15 lines which participate in the service are the B44, B46 and the B82 routes. Subway service repair was again volleyed to the state. “Come heck or high water, we will get Albany to fix our subways, shifting the responsibility to the governor. The mayor sang the praises of the styrofoam ban, NYC Care (affordable healthcare for New York City residents) and paid personal time for all New Yorkers, all announced within the past 10 days. Terrific, who is going to pay for all of these freebies now? I couldn’t resist: we have a stylophone ban? !